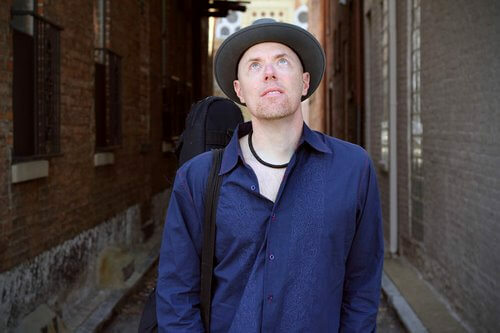 Texas-born Hadden Sayers has been playing roots and blues guitar since his teens. He is an accomplished triple-threat artist with great, soulful vocals who writes memorable songs. His guitar work is both powerful and thoughtful. His new CD Hard Dollar has hit #36 on the Americana Music Association charts and went to #21 on the Living Blues magazine playlists. Sayers’ expressive song “Back to the Blues” was recently announced as a nominee for Song of the Year in the prestigious Blues Music Awards. On Hard Dollar the song is a duet between Sayers and Grammy-nominee Ruthie Foster. Sayers has been playing in Foster’s band over the past few years. Now he’s back at his solo career with dynamic focus.